Nepal has many natural and cultural sites of interest. There is the Himalayan scenery, green hilly landscape and flat land Terai region. They offer wonderful views and various attractions for the travelers. Some visiters may not have sufficient time to reach the higher Himalayas or the pilgrimage destinations by foot. 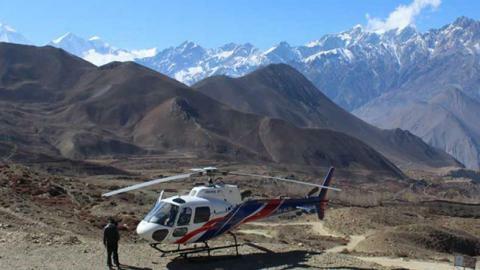 Helicopter tours are designed for travelers to explore the hidden beauties of Nepal and enjoy the Himalayan panoramas. 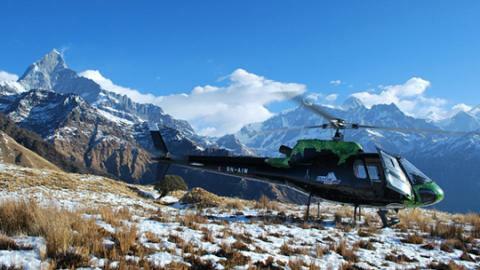 Tours offer a great chance to travel to remote areas in a short time. 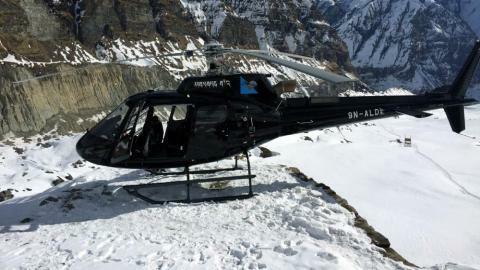 Some of the popular regions for helicopter tours are: Everest Base Camp and Kalapatthar helicopter tour, Annapurna region helicopter tour, Muktinath helicopter tour and Langtang region helicopter tour. 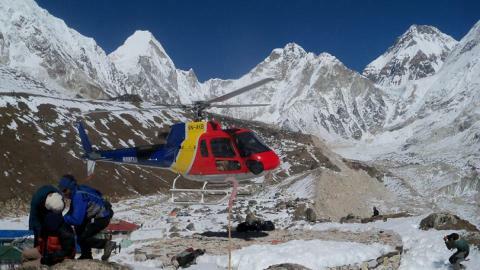 Please, contact the Namaste Treks Company for the best helicopter tour in Nepal. © Namaste Treks 2019, All rights reserved.